Date night, we don’t do it enough, but sometimes we get out even on a weeknight. We were off to Snug Harbor, one of our local favorites that is on the river with a view of the lighthouse on Lake Michigan. I stuck with my normal nachos supreme. I needed the extra 2000 calories. 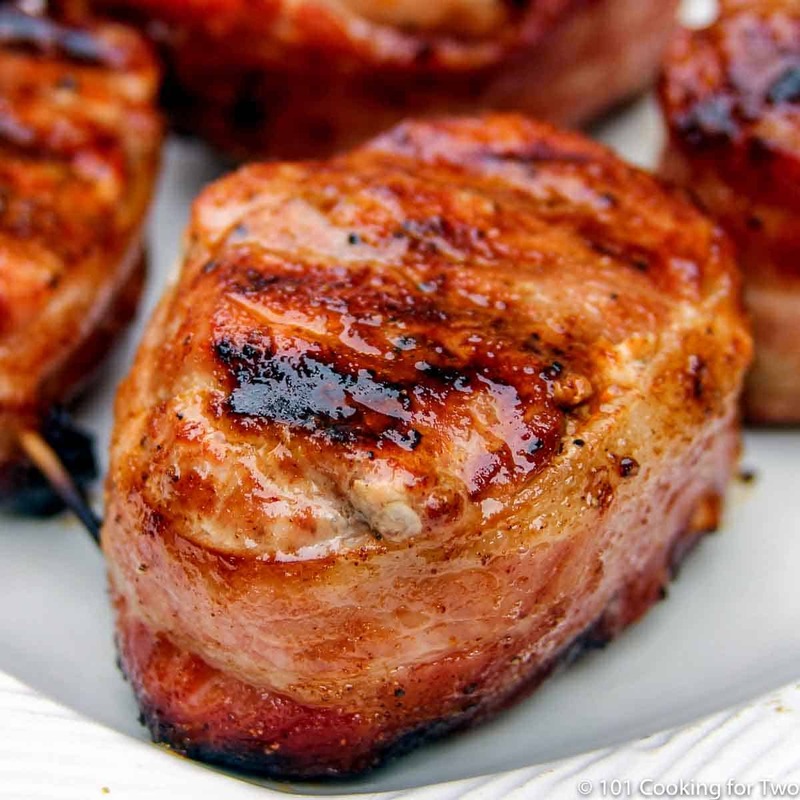 My wife decided to try something new; the bacon wrapped pork medallions. She didn’t like the curried apple chutney but loved the meat. She started to plan my next post right then. She wanted to grill, not seared and oven roasted. She wanted the same rub as my ribs. I can follow direction. A low 5 or high 4. But it looks fantastic so a five it is. 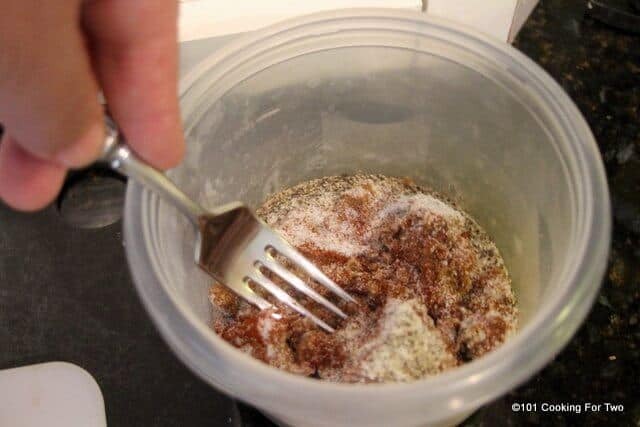 This is a spice it as you like it type recipe. I used my 8:3:1:1 rub but the 7:2:2 would be excellent, and I think I will use it next time. 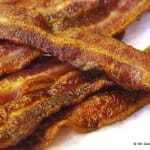 I was afraid the bacon would not cook well since several recipes precook the bacon a bit. Like 2 minutes in the microwave. While the bacon was not “crispy,” it was very tasty and was fully cooked. No need for the extra step. I was afraid the bacon would not cook well since several recipes precook the bacon a bit. Like 2 minutes in the microwave. While the bacon was not “crispy,” it was very tasty and was fully cooked. No need for the extra step. I think the assembly technique up it the big secret to this recipe. It just makes doing it ultra simple. You can cut the pieces first then wrap, but my way is much easier. You should try to get the amount of meat about the same in all the medallions. You should try to get the amount of meat about the same in all the medallions. So think about volume more than thickness as you cut. Cut the tail end and bring it back around to thicken up that end piece. You can cut it completely off or 75% through and fold back. Clean and oil your grill. Adjust to get a consistent surface temperature of about 450 degrees. That is about medium on my very hot grill and more like 70% on lesser grills. Mix your seasoning. I’m using a 8:3:1:1 mixture (wife’s request) but a simpler salt, pepper and garlic combo (like my 7:2:2) would also be good. 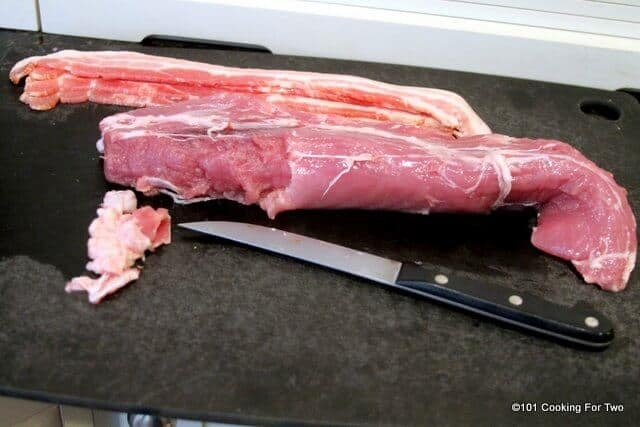 Trim a pork tenderloin of any lose fat, membranes, and silverskin. On a cutting board lay out four strips of bacon side by side with a little gap between (about 8 inches). Lay the trimmed tenderloin on the bacon and trim off the skinny tail end of the tenderloin and lay beside that end of the tenderloin to make a thicker part. 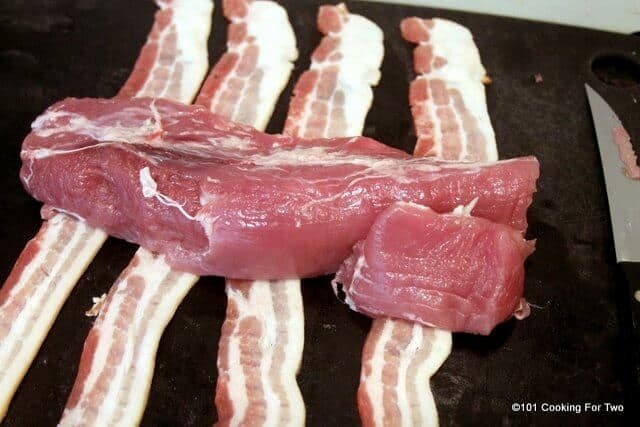 Roll the bacon over the tenderloin then cut between bacon. 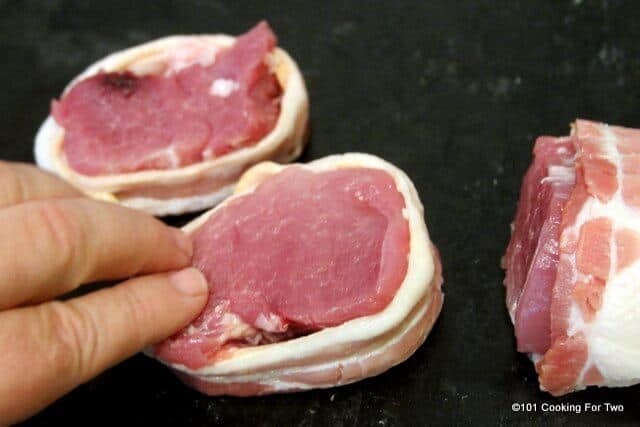 Lay flat and smash the meat to make the piece about the same thickness as the bacon. Now pin the end of the bacon with a toothpick and use two in the piece with the tail end to keep it together. Give them a good coating of your spice. You don’t need to use all of it. Place over direct heat and flip about every 5 minutes until internal temperature of 150 (depending on your taste). About 20 minutes for me. 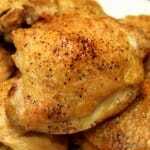 Excellent Rub : You will use about 1/4 to 1/3 of this for this recipe. Save for later. Clean and oil your grill. Adjust to get a consistent surface temperature of about 450 degrees. About medium on my very hot grill. More like 70% on most grills. Mix your seasoning. I'm using a 8:3:1:1 mixture (wife's request) but a simpler salt, pepper and garlic combo (like my 7:2:2) would also be good. You will have more than you need. 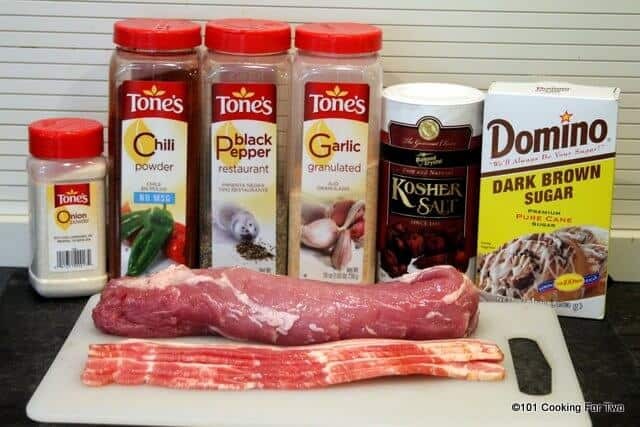 Roll the bacon over the tenderloin then cut between bacon. Lay flat and smash the meat to make the piece about the same thickness as the bacon. 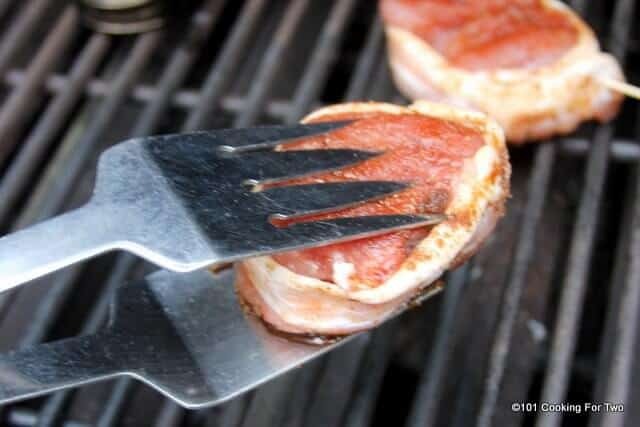 Now pin the end of the bacon with a toothpick and use two in the piece with the tail end to keep it together. Give them a good coating of your spice. How to reheat a medallion? Temp, time? I have never had good luck reheating pork tenderloin. I would only cook what is needed then freeze the others after you make them up. The cook the same after a complete thaw. Wow!!! The daily-recommended sodium value is 2,300 milligrams. 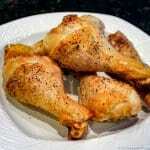 Your nutritional facts for this recipe shows the Sodium is 2177 mg = 91%. For sure, this recipe is not for someone with high blood pressure or hypertension. Well, this was a simple fix. The recipe plugin pulled in all the rub. It used normal salt, not kosher. And, it normally takes only about 1/4 of the rub. So recalculated to 993. 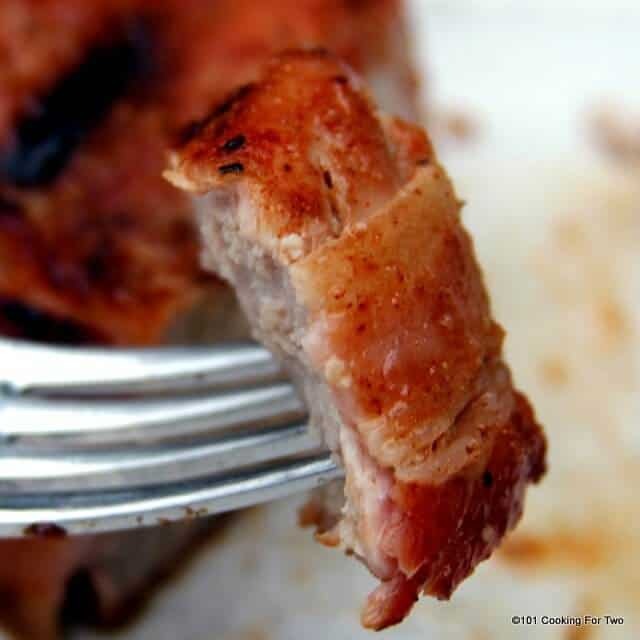 This is the best way I’ve ever made pork tenderloin. I’ve never thought you grill it it’s fantastic. I’ve made it muttiple times now however I just use whatever seasoning mix I fancy. Agree with ehorak, this was so amazing. 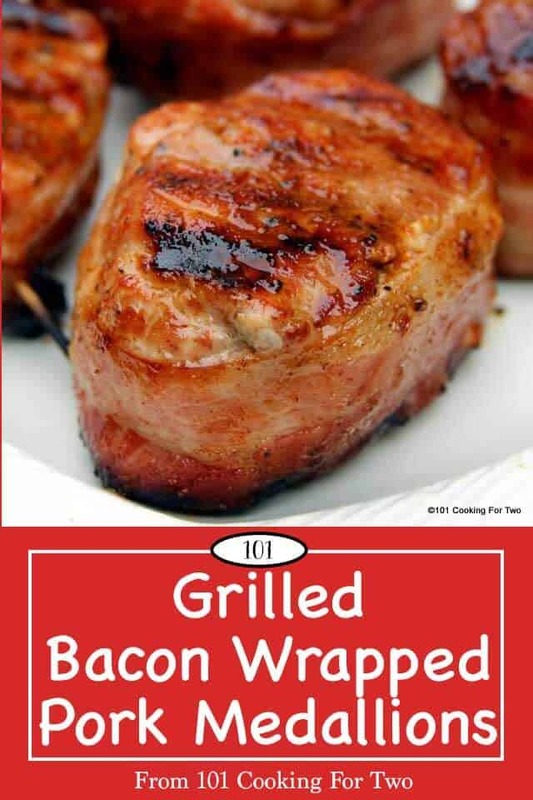 And so easy with pork I bought already bacon wrapped from the grocery store. I was blown away. Thank you! 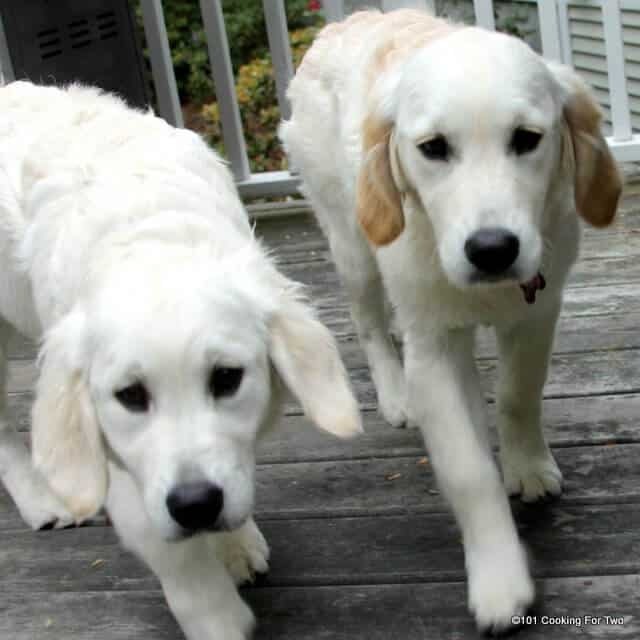 Lilly and Molly are English Golden Retrievers. They are a little shorter and wider but that same great Golden personality. oh my gosh! this is probably the best pork i have ever had. fine dining quality. simple recipe. the side dish took more time to prepare than the pork… we had rain at the last minute so i convection broiled it at 450° for 20 minutes. my husband and daughter went nuts. thanks so much for this recipe! Never oil your grill. Only oil your meat!!!! I totally disagree. Each to their own.